When a natural disaster strikes, here or abroad, the question usually comes up “Why doesn’t your church give money to org’s that do good works for others?” Or “Why doesn’t your church operate a food pantry or help people who walk in off the street?” It’s true as a congregation we do not offer benevolence from the churches treasury to just anybody who ask and we don’t give money from the church’s treasury to support benevolence organizations, whether it be the Red Cross, or a local community outreach organization. But why? Why do we practice limited benevolence from the churches treasury? Why do we only use the church’s treasury to only help a limited number of people? Since it’s a Bible question, we’ll give it a Bible answer. The New Testament Is Our Authority – In order to properly answer our question we must first establish what our standard of authority is going to be. Is our standard going to be the ever shifting thoughts of man or is it going to be the unchanging wisdom of God’s word? It’s quite clear, we need to establish our authority of the unchanging wisdom of God’s word. And for us as believers in His church that’s the New Testament. So let’s look at church benevolence in the New Testament and learn how we as churches are supposed to help the needy around us today. From the New Testament we learn two principles that guide us as a church in distributing benevolence. The first principle is Families Help First. And the second is The Church Helps Its Own. Let’s take each of these in order to learn how they govern a church in practicing limited benevolence. 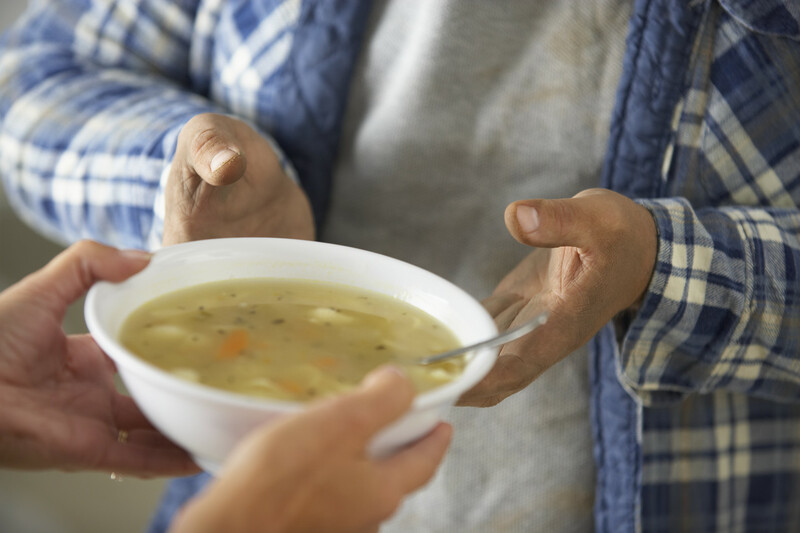 Families Help First – The principle that Families Help First comes from Paul’s instruction to Timothy to practice limited benevolence at the church at Ephesus (1 Tim 1:3) by only helping widows who were truly in need. When the church follows God’s word it will practice limited benevolence from it treasury by requiring families to help first. Now there are cases when a widow does not have family that can care for them (Paul calls them “those who are really widows” or “widows indeed”). In those cases the church would but the exception proves the rule that a church is to practice limited benevolence. The church wasn’t to care for every widow that didn’t have a family, only its own widows that didn’t have families. The Church Helps Its Own – Whether the need for relief came from a famine (Act 11:27-30) or from poverty (Acts 2:44-47, 4:32-37, 6:1-7); whether it was a local need (as in Jerusalem) or one abroad (Antioch sending relief to Jerusalem), the church of the New Testament practiced limited benevolence by only helping its own. Who is the subject of this passage? It is those who believed; those who made up the church there in Jerusalem. It was those who believed that had all things in common. It was those who believed that sold their possessions and goods. It was those who believed that divided them among all who had need. And who were those in need? Go back to Act 2:44, it was those who believed and were worshipping with the church as seen inAct 2:46-47. When the church at Jerusalem wanted to help needy people did they help all the needy people in Jerusalem? No, the church at Jerusalem practiced limited benevolence by only helping its own with the funds that the church had. Again in Act 4:32-37 we have reference to the church at Jerusalem helping the needy by distributing benevolence, but again the focus is on the church practicing limited benevolence by only helping its own from the monies that were contributed to the church. Later in Act 6:1-7 we read that the church at Jerusalem had a daily distribution of benevolence that was given to widows. Was it given to just any widows? No it wasn’t, look at the subject of this passage, it is the disciples; the passage begins and ends with the emphasis being on the disciples. So we see that the church at Jerusalem practiced limited benevolence by supporting its own widows. Are we to suppose think that the only needy people or needy widows in Jerusalem where Christians? Of course not, there would have been many needy people in Jerusalem. Nevertheless, these examples show us that the New Testament church practiced limited benevolence by using money from the church treasury to only help its own. The church at Antioch and the churches of Macedonia and Achaia sent benevolence only to the saints in Judea and Jerusalem, or in other words, they sent benevolence to only their own. Are we supposed to think that it was only Christians who were suffering from the famine? Of course not, but since the New Testament church practiced limited benevolence in that they only sent help to other Christians, or in other terms, their own. Let’s recap: Why do we practice limited benevolence as a church? We practice limited benevolence as a church because the church of the New Testament practiced limited benevolence. They practiced limited benevolence by insisting families help first, and by only helping their own, whether they were local or abroad. Since the church of the New Testament did this, we to should seek to follow their pattern today by practicing limited benevolence from the churches treasury in the same way they did.